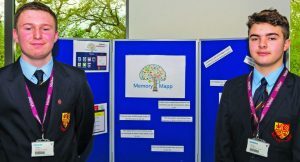 WOKING High and Gordon’s were among teams from secondary schools across Surrey and Berkshire that competed to present innovative solutions to some of the biggest issues facing the healthcare industry. The two schools, from Horsell and West End, took part in the Next Big Thing Challenge organised by Siemens Healthineers and education charity SATRO. The challenge aims to inspire pupils aged 14 to 16 to explore the world of engineering and technology and promotes the opportunities within science, technology, engineering and mathematics (STEM) careers.